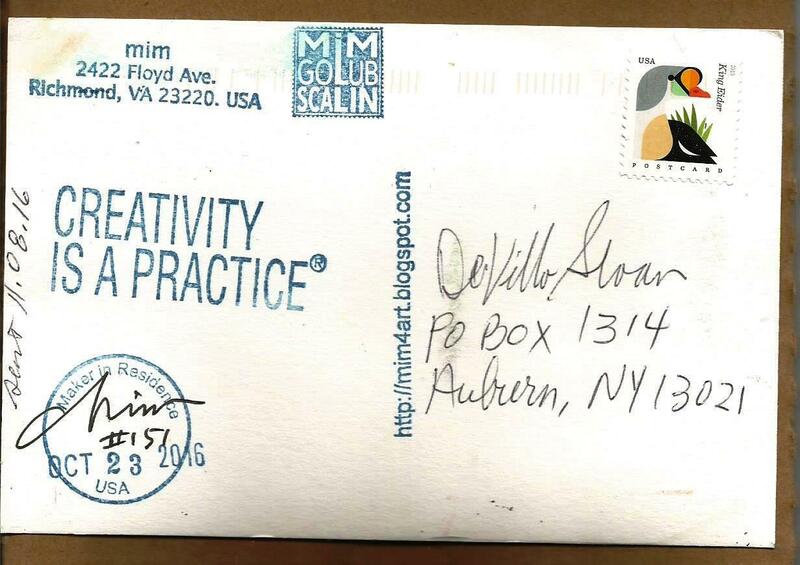 Mim Golub Scalin is a gifted collage artist and much beloved in the contemporary mail art network. She has been a wonderful correspondent, participating in various projects with me over the years. Based on the date of this composition and its relatively organic quality (Mim tends to be a formalist), I am assuming this work is intended for the Karnival of Trash. I am also eager to include it regardless. 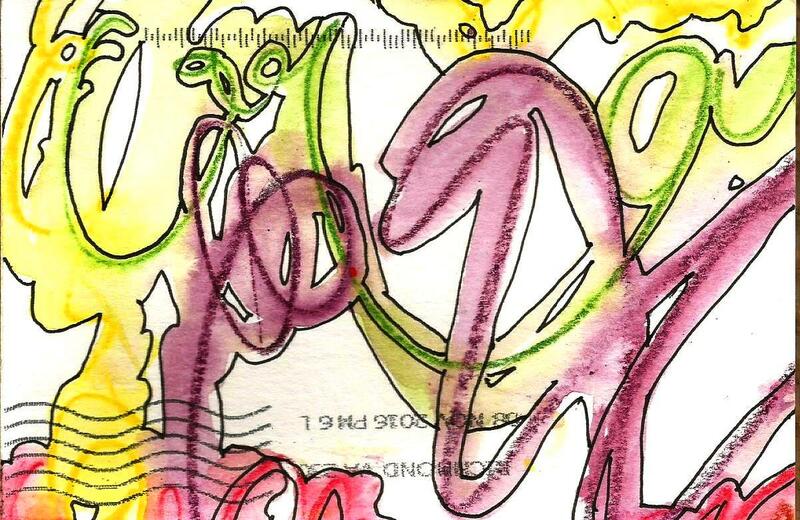 Abandoning her extraordinary collage style in this piece, Mim Golub Scalin engages in some asemic improvisation with a hint of street art expression. Wonderful to find Mim Golub Scalin in the mailbox again. Many thanks!